A great way to enhance the look of your property, whether it’s residential or commercial, is to install a wooden floor. What the floor fitters in Hampstead can do for you is take your personal style and install a floor that meets your expectations. You’re the one in charge from inception, through the first consultation visit until the completion of the project. In the end, you get to marvel at a floor that will stand the test of time. Numerous Customizations: We offer a variety of floor types – hardwood, engineered, laminate and parquet. Longer Product Life: We use only premium materials and you can be certain we’ll work with quality oak, cherry, ash, maple, pine, and walnut. 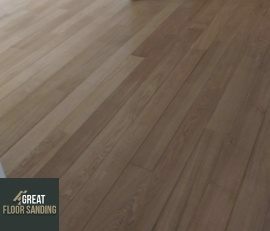 Improved Value: Real estate agents value high-quality wooden floors and we provide a service that will help raise your property’s value. How The Wood and Parquet Floor Fitters Perform Your Service? There are several steps in the process of installing your floor, regardless of the wood type you’ve chosen. We provide each and every customer with a no-obligation on-site consultation to observe the layout and check out if the current floor is leveled. If not, then we perform concrete subfloor leveling to ensure a steady basis. The consultation comes with no obligation. You have the options to have some damp and sound proofing preparations before laying the floor, whether it’s floating, nailed down, or glued down. Finally, you have the option of asking the wood and parquet floor fitters to install skirting boards or beading, for a clean look, along with door and door frame trimming. Who Are The Wood Floor Fitters in Hampstead? Efficiency in communication is our forte, so you can always get in touch with the office every day of the week. Dial 020 3404 9697 from early in the morning to late in the day, be it a weekday, the weekend or holiday. Our operators are here to help you create your unique service package, schedule a no-obligation on-site consultation with the Hampstead wood floor layers and edit an existing scheduled appoint, as long as there are more than 24 hours before the arrival date and time.